It takes courage to write a book. It takes even more courage to blaze your path as an indie author. Dan Poynter, the subject of this exclusive interview, has singlehandedly inspired thousands of authors to self-publish. Along the way, he has sold tens of millions of dollars of his books on subjects ranging from skydiving to self-publishing. Dan is perhaps best known as the author of the Self- Publishing Manual, the best-selling guide to indie authorship, published continuously for the last 30 years. 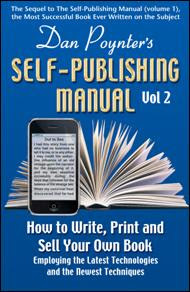 This week, Dan published on Smashwords the new sequel to the book, the Self-Publishing Manual Volume 2, which covers the latest technologies and techniques for book publishing and promotion. The book is so brand spanking new it won't be available in print anywhere for another two weeks. Smashwords is also the first digital publisher and online bookstore to carry the ebook. Dan was advocating self-publishing long before it was fashionable, so no doubt he's pleased to see the world finally catch up with him. But where to next? In our exclusive interview, conducted today via email, Dan speaks about the past, present and future of indie publishing. 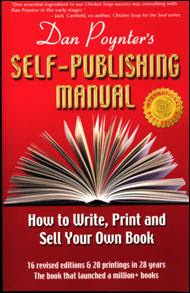 [Mark Coker] - Last year, Writer's Digest Magazine referred to you as the godfather of self publishing. Your books have sold millions of copies. For the benefit of indie authors everywhere, what's the secret to building a successful career in self-publishing? [Dan Poynter] - Write what you love and sell to your colleagues. This could be the definition of social networking for books. Go where your heart is. Write about your favorite subject: The one that gets you so excited, you wake at four in the morning to find your eyes are wide open and your head is spinning with ideas. You are so jazzed, you can't sleep. So, you get up and head for the keyboard. I started with books on parachutes and skydiving. Sell your book to people who have an interest in your subject. They are easy to find with online searches and social media. I've been self-publishing since 1969. Because many publishers approached me for my secret for selling so many books, I wrote and published The Self-Publishing Manual in 1979. It has been through 16 revisions and 20 printings since. I just published a volume 2 which describes using social networking to gather information and to promote the finished book. My books, speaking and coaching have launched thousands of books. That sort of makes me a godfather - many times over. [Mark Coker] - What do you make of the turmoil we're seeing in publishing today? What will the industry look like in two, three or five years, and what are the implications for authors? [Dan Poynter] - Changes. And the changes are long overdue. The large six publishers in New York have not altered their business plans since 1947. The downturn in the economy did not cause their problems but economics are making them reexamine the ways they do business. Brick-and-mortar store sales are decreasing. Online sales are increasing. We will see smaller advances, the elimination of returns, the abolishment of the three annual selling seasons and the proliferation of eBooks. pBook (paper) sales are decreasing. eBook sales are increasing. With change comes opportunity. The 86,000 self-publishers in the U.S. are prepared because they are closer to their subject than a large publisher and, being more nimble, are quicker to adapt to trends, conditions and changes. It takes a large publisher 18 months from manuscript to shelf. Smashwords can get your book out at the speed of light. [Mark Coker] - What role will eBooks play in helping to launch and sustain the careers of authors? [Dan Poynter] - We still hear people say they like the look and feel of a paper book. They will get over it. (: I do not know of one of these detractors who has actually read an eBook. They may have glanced at a page but they have not tested the concept. I have been publishing eReports and eBooks since 1996. Because I fly more than 6,000 miles/week, I read a lot of eBooks (mostly historical fiction). So we can argue about what the customer wants but the deciding factor will be economics. pBooks cost too much. Their list prices are higher and their actual costs are much higher when you consider printing, trucking, inventorying, processing the order, picking, packing, licking, sticking, wrapping and shipping. eBooks require little or none of these and Smashwords takes care of the delivery, billing, paying and customer service. [Mark Coker] - You write about the importance of authors taking personal responsibility for their own marketing, yet you note that most writers are introverts. How can indie authors reconcile the two? [Dan Poynter] - The challenge is not that most writers are introverts (like me), it is that most writers believe that the only way to promote books is with public appearances: radio, TV and autographings. As a result, they do nothing at all. Whether you sell out to a large (NY) publisher or publish yourself, the author must do the promotion. Publishers do not promote books. Ask anyone who has landed a book contract. People purchase nonfiction to learn something or to solve a problem. Book promotion is simply letting people interested in the subject know that you have a book. Social networking is the ideal way for authors to promote their books. You can get the word out while discussing your favorite subject with colleagues all over the world. BTW, social networking has been around since the campfire. It is simply discussing your favorite subject with your friends. Today we have social media. We can reach our colleagues via the Internet and mobile phone systems. People anywhere in the world can join the campfire. [Mark Coker] - Chris Anderson, author of the Long Tail, gives authors hope they can achieve success in niche markets. Yet his forthcoming book, Free, advocates pricing some digital goods at zero. How do authors compete against free, or should they even try? And how should authors approach pricing in this environment where there are free alternatives to nearly everything that is paid? [Dan Poynter] - Chris Anderson is selling magazines and probably gets paid for speeches and consulting. Free eBooks can bring attention to the author and the author's other services. That said, there are many case studies of authors giving away their eBook only to find that this promotion increases the sales of their pBook. It seems that downloading an eBook is similar to a brick-and-mortar bookstore shopping experience. The shopper sees the title, "reaches" for the book, looks at the front cover, reads the description of the contents on the back cover, opens the book to review the contents and then makes a buying decision. Chris Anderson is right and "The Long Tail" confirms what I have been doing for 40 years. I started with a line of books on parachutes & skydiving. I sell these into the parachute industry. Reaching my colleagues is easy with social networking. I am currently at the International Parachute Symposium in Reno. We expect nearly 1,000 industry people from 32 countries. It will be easy to sell individual books and to make new dealers. [Mark Coker] - Thanks Dan! Be the first to own the first edition of Dan Poynter's new Self Publishing Manual Volume 2 by purchasing it now on Smashwords. To learn more about Dan Poynter, visit his Smashwords Author Page or visit his publishing company, Para Publishing.